This metronome post on Sawan’s Song blog caught my attention this morning. On clicking the play button, one was immediately transported to an all together different world – a world of not the ordinary people who are always so cribbing and doing nothing about their surroundings but people who are more awake, more alive, and more one with nature and the sea. The message they leave is plain simple – become engines for change/get up and clean up/its your world/why wait for others – just do it. Sawan’s song has a powerful rhythm. The video not only narrates how a massive cleanup exercise by the community can be as exciting as a holiday at a beach resort. It leaves a positive and a serious note – The communication is crystal clear – Use your option, go for a clean and pollution-free environment. Why settle for anything less. 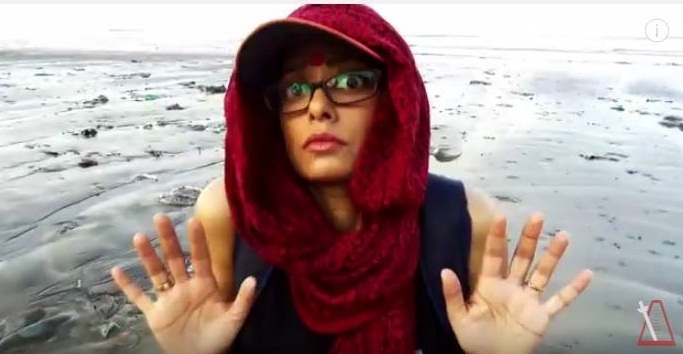 One immediately felt that this song should become the theme song for National Swachhta Mission. 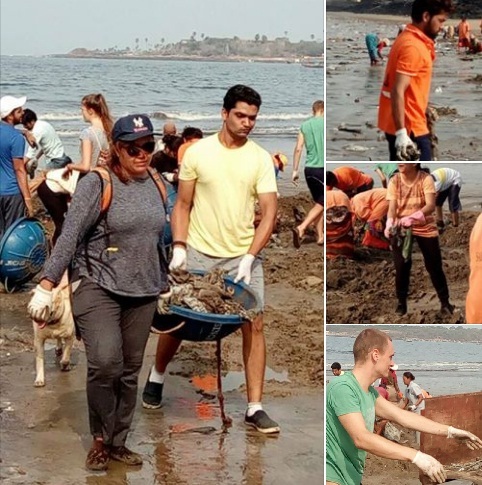 In Sawan’s own words: “This Metronome blog post, pieced together over the last three months, tells the story of how Afroz managed to turn the tedious, unwanted job of garbage cleaning into a joyous carnival, where volunteers from the most unimaginably diverse backgrounds gather to bond with the ocean and with each other, every weekend. After watching Sawan’s metronome post, questions started flying all around – When did this start. Was the volunteer support spontaneous from day one or did it pick up gradually. For how long the Versova team has been on the job. Is it on weekends ….Also how logistics, especially JCB machines etc are being managed…who is the force behind this fantatstic initiative…. Sawan responded by telling me that what she knew, she’s heard from him and learnt from other online sources. It was started around October 2015 – 85 weeks ago – by Afroz Shah and an 80 something year old gentleman with terminal cancer. For a while it was just the two of them, with Afroz going around asking anyone he could, to come and help. The movement gradually picked up steam, through continuous efforts by Afroz to raise awareness in the area. Sawan herself learnt about it from a post on her newsfeed around August 2015. Though she was a bit sceptical at first, but walking across to the beach and seeing the actual difference, she was quite pleasantly surprised! Finally she went to see what the whole set up was like, in the first week of February 2017. And something about the positive energy during the whole clean up process makes her keep going back and now its been 13 weeks for her. Sawan goes on to observe that Its a brilliant and crazy mix of the unlikeliest people one would ever find together, from Tor Dahlstrom, the consulate general of Norway, and his Japanese wife, Tomiko, to Maulvi Atiqur Rahman Qasmi, who teaches at the Madrassa, to young students, visiting foreign tourists and researchers, housewives, film industry professionals. “We have people from every kind of professional, economical, geographical, racial background, all forgetting their differences and focusing on a common enemy – plastic and garbage in the ocean – for those two hours. 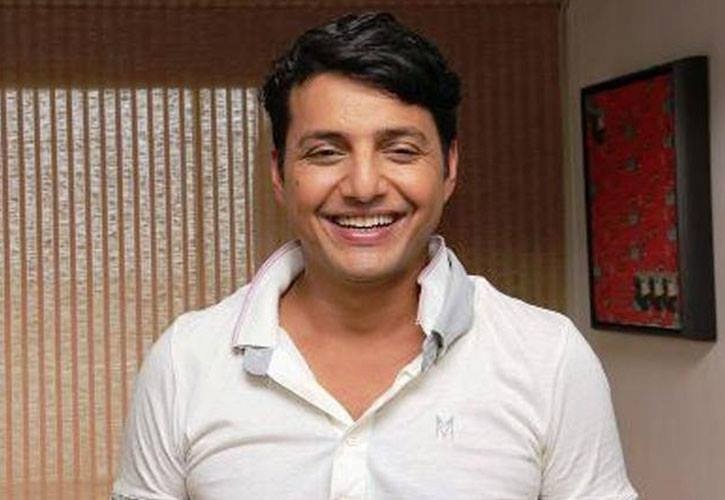 Sawan’s video features Afroz Shah, the United Nations Champion of the Earth 2016, the Mumbai based lawyer who started this Beach Cleaning Initiative, and his team of volunteers and civic workers.